Do you struggle to keep up with the number of emails you get every day? Are you looking to improve your email productivity? Email is a great servant, but very a poor master. Many people basically use their Inbox as their To Do List and this ultimately results in poor email productivity. They will open an email, read it and then mark it as Unread in order to come back to it later. They are then forced to constantly scan their Inbox looking for Unread Emails that have not yet been responded to. Clearly this double handling of emails wastes a lot of time and is not very reliable in any case! Or some people will even forward old emails to themselves in order to bring emails back to the top of their Inbox! Email can be a great distraction of course, and we know that not every email we receive is important! However, given that email is now THE communication medium of choice. 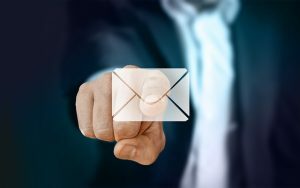 We cannot simply ignore them… And since so much of our work is now delegated to us via email, it is imperative that important emails do not get lost in your Inbox. Unfortunately, most people simply don’t have a good system for managing their email effectively. Our Email Management Training or Coaching program is designed to help people get their Email Inbox back under control and greatly reduce their stress in the process. We show people how set up their Inbox in such a way that emails are never inadvertently lost or forgotten. We have a number of flexible delivery options. It can be delivered to a group or can be tailored to deliver as a coaching program for one person. We can customise this to work with whatever Email Program you are using. MS Outlook, Lotus Notes, GMAIL etc, though our speciality is working with MS Outlook. Our Email Management Training can help remove hidden barriers to improved performance. We sit with you and your Laptop or Computer and help you develop specific strategies for dealing with your emails more effectively! We help you set up your Email program properly. We help you customise your views and develop strategies aimed at achieving immediate results with how you manage your emails and Inbox. We can tailor a Email Management Training or Coaching Program to suit each person or team’s individual needs. When delivered as a Training Program, we usually recommend a Half Day. When coaching 1-1, we usually aim for 3 or 4 coaching sessions over a 4-6 week time-frame. Interested in getting your emails under control? – Contact us to discuss this program in more detail. We have offices in Albury Wodonga, Melbourne and Perth but can travel anywhere within Australia to deliver these programs. We can also coach online.